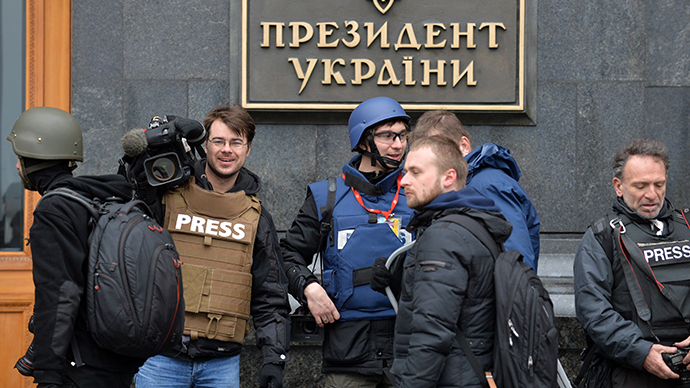 Representatives of Russian TV channels have urged international organizations, including the UN, UNESCO and the OSCE, to protect the rights and dignity of journalists covering the Ukraine crisis from illegal actions of the Kiev authorities. “The new Ukrainian authorities have repeatedly taken illegal actions barring our staff journalists covering the Ukraine crisis from performing their professional duties and violating their human dignity,” the letter says. 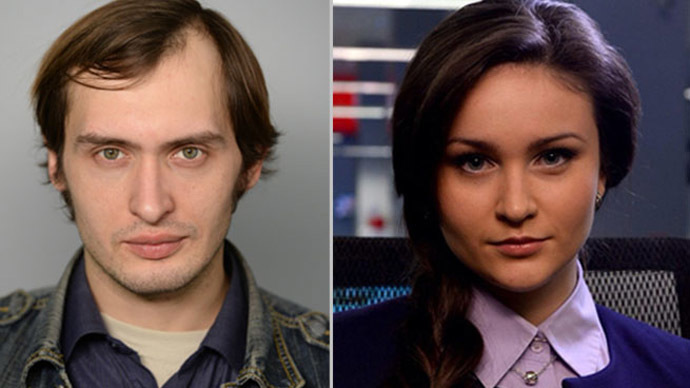 In the latest incident on Friday morning, Lifenews journalists Julia Shustraya and Mikhail Pudovkin, were detained and later deported to Russia. 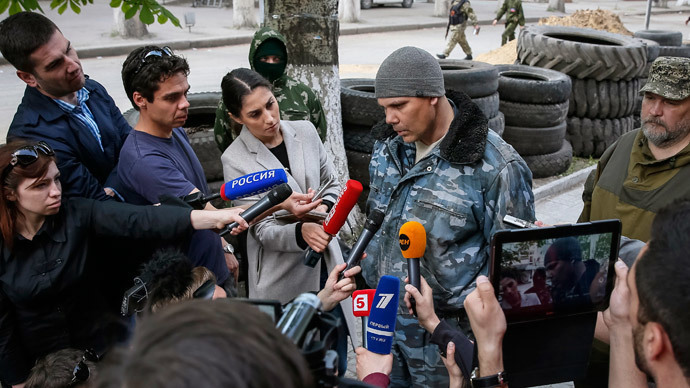 The crew was abducted by armed Ukraine Security Service members, after they filmed an interview with one of the leaders of the pro-federalization movement in Ukraine. “[Journalists] are being watched, their phone conversations wiretapped. There were cases when journalists were forced to get down on their knees, beaten during detention and illegally deported from Ukraine,” the joint address to UN, OSCE and UNESCO reads. Ukraine has a bad track record on freedom of the press, with 139 violations against the press and 51 attacks registered by the Committee to Protect Journalist (CPJ), last year, including the period of protests on Maidan. But attacks on the press has intensified after the February coup. “Journalists should not be treated as pawns during this crisis and should be allowed to report freely,” CPJ Europe and Central Asia Program Coordinator Nina Ognianova said, following the deportation of Lifenews staff. “We call on all sides to stop treating those who try to report on the crisis as enemies,” she added, calling for the release of Sergey Lefter, a reporter for the Warsaw-based Open Dialogue Foundation, who went missing last week. Just as international delegations met in Geneva last week to negotiate a roadmap for the peaceful solution to the Ukranian crisis, two unidentified men attacked Yevgeny Polozhy, editor-in-chief of the independent news website Panorama, in the northern city of Sumy. 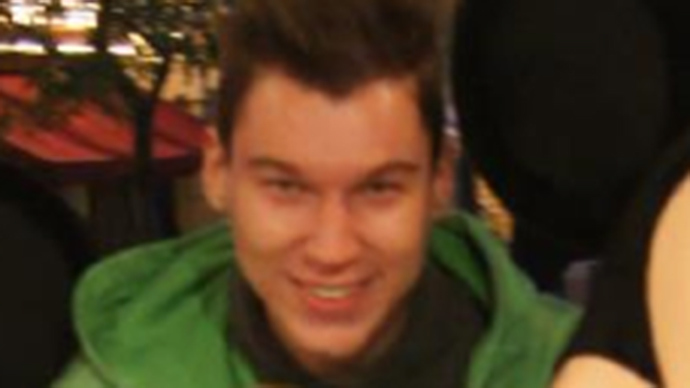 Polozhy was allegedly beaten and hospitalized with a broken skull and other bodily injuries. On Thursday, Ukraine’s Security Service reported that a producer working for Russia’s NTV channel, Belorussian national Stepan Chirich, was detained in the city of Pershotravensk in the Dnepropetrovsk region. Chirich remains in custody, after being accused of bringing an undeclared video camera into Ukraine. 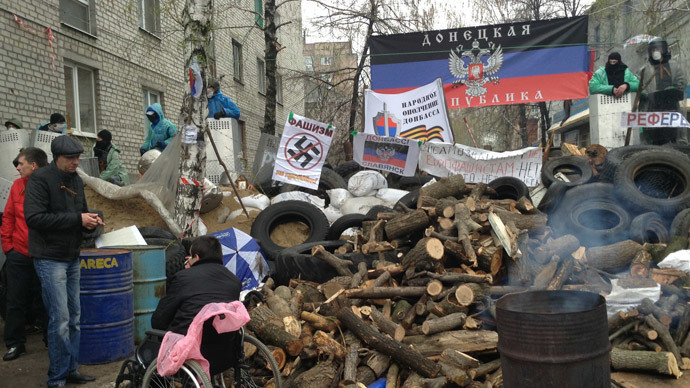 A Ukrainian cameraman from the city of Lugansk who accompanied Chirich also remains under arrest. On Monday, Simon Ostrovsky, a journalist for the New York-based Vice News, was detained by self-defense forces in Slavyansk. After being detained for three days and questioned, Ostrovsky was released Thursday. Alongside Ostrovsky, Yevgeny Gapich, a journalist who was working on a story for the Ukrainian newspaper Reporter was also released. Last Sunday anti-government activists in eastern Ukraine’s protester-held town of Slavyansk detained prominent pro-Maidan activist Irma Krat. 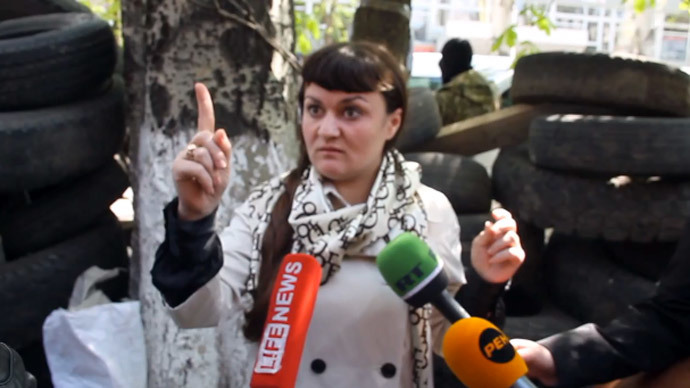 She rejected accusations that she was acting as a spy for the Kiev authorities, saying she was in the Donetsk region in her capacity as a journalist. On Tuesday, reports surfaced that unknown assailants threw Molotov cocktails at the newsroom of the local newspaper Provintsiya in the town of Konstantinovka, in Donetsk region. The Russian Foreign Ministry on Friday urged the OSCE to react “to mass repressions of media workers” that come amid the military operations launched by the Kiev regime in the southeast of Ukraine. Konstantin Dolgov, the Russian Foreign Ministry’s commissioner for human rights, in his Twitter voiced concerned over the crackdown on freedom of speech in Ukraine.